A Family Doc For Your Finances? But there is another reason financial advisors aren’t doctors. Financial advisors like to compare themselves to CPAs, attorneys, physicians and other professionals who spend years in training and pass difficult tests to get advanced degrees and certifications. Most advisors, if they took a test at all, took one that required little training and even less experience. Yet they still use lines such as “You wouldn’t let just anyone operate on you, would you?” or “I’m like your family physician for your finances. I might send you to a specialist for a few things, but I’m the one coordinating it all.” These lines are designed to make us feel good about trusting them with our hard-earned dollars and, more importantly, to think of personal finance and investing as something that “only a professional can do.” Unfortunately, believing those lines can cost you hundreds of thousands of dollars and years of retirement. “I don’t need a professional to mow my lawn, why would I need one to manage my finances?” Just because there are people who would like you to pay them to mow your lawn, doesn’t mean you NEED to hire one. It just doesn’t take much knowledge to run a lawnmower, set it to the right height, and make straight lines. I know, I spent a few summers doing it. My training, like that of many advisors, lasted just a few minutes. You don’t hire someone to pick out your groceries, select a restaurant for you, pump your gas, clean your house, shovel your driveway, plunge your toilet, organize your garage, plan your vacation, or pick out your furniture. All right, it’s possible you DO hire someone to do some of these things for you, but only because you feel your time is better spent doing something else. Unfortunately, when it comes to your finances, YOUR TIME IS NOT better spent doing something else. It takes so little time to design, implement, and manage a simple yet successful portfolio, that the amount you save/earn by doing it yourself, make these the most profitable hours of your year. Let me explain. If you have a $500K portfolio, and your investment costs are 2% as a result of your advisor’s fees and the management fees of the investments he has put you in, that is equal to $10K per year. Let’s say it takes you 10 hours a year to manage your portfolio. (I’d say 5 hours a year is closer to what I spend, but I’m being generous.) That’s about $1000 an hour. I don’t care what field of medicine you’re in, there’s nothing else you can do that consistently makes you $1000 an hour. That’s after-tax too! Sure, you have to put in some time up front educating yourself, and you have to design and implement a portfolio, but after that’s its pretty much on autopilot. And as that portfolio grows to $1 Million, $1.5 Million, and $2 Million you’re now making $2K, $3K, and $4k an hour. So the next time you hear an advisor’s sales pitch, ask yourself if you’re hiring a trained professional like a doctor, or someone like a very expensive house cleaner. What do you think? Why do you think advisors like to compare themselves to physicians? In what ways are they similar? In what ways are they different? Comment below! Just wish i had realized it sooner. Completely agree with you on this article. It doesn’t make sense to give away 1-2% of your investable net worth each year especially as your assets grow with savings and wise investing. Also, I think it’s rather enjoyable to learn about personal finances and investing. In addition, only you will have your own best interests at heart(not necessarily true for financial advisors). This is a misinformed commentary. The author clearly hasn’t enjoyed the benefits of a highly competent, sophisticated advisor who has offered returns that exceed those of the general market. Just as there are good doctors and bad doctors, the same can be said for advisors. It is true that there are people who misrepresent themselves in the industry, and it is up to an individual to do their homework and choose someone who has a proven track record with regard to outcomes, ethics, and customer service. As I often tell my patients, ‘you don’t know what you don’t know’, which is why you need the assistance of a professional to help you navigate the complexities of whatever you are endeavoring to manage in your life, whether it be your health or your finances. Perhaps these individuals do have the extra time to spare monitoring the market on a daily basis (to do this properly to ensure you are not losing opportunity or to confidently dodge a disaster requires doing that 2-3 times per day for 5-10 min which equates to at least 10 hours per month, resulting in hundreds of hours per year spent ….you are fooling yourself if you think you can do it right in 5 hours per year….if you can, you don’t have a very sophisticated portfolio and likely are getting mediocre returns). I personally do not have the time to do this in my busy practice with the multiple and extensive demands on my time. I think the bottom line is this. Any service has a value. You just need to determine the level of personal value that it has for you. Assuming you do your homework and have the opportunity to choose a high level advisor who is well respected in the industry and who has a proven track record for their clients, do you really want to do it yourself, invest your valuable and limited time and make less? I don’t. I will happily continue with my Bay Street advisor and continue to see my assets grow consistently and at great rates that most people I know haven’t been able to achieve on their own. Ahhh…the dream of successful active management. It lives on. Is it possible? Sure. Is it likely? No. No interpretation of the data suggests that it is. If there are these “high-quality” advisors out there, why are they wasting their time running your $1 Million portfolio instead of a $1 Billion hedge fund? They wouldn’t. So, let’s assume the best advisors are running the biggest portfolios. How does the record look? On average mutual fund, pension fund, and hedge fund managers underperform the relevant indices…before expenses and taxes. The longer the term and the more managers/funds used, the worse the performance gets in relation to the indices. Rather than ending up being “mediocre”, they end up outperforming the vast majority of active investors, especially after considering expenses and taxes. Simple can be surprisingly sophisticated. When the world’s acknowledged most successful investor suggests buying primarily index funds, you’ve got to wonder if there’s something to it. The arguments you espouse are those continually put forth by advisors who want to make 1-2% of your money reliably every year, no matter their performance. “Every service has a value.” “You need to monitor the market every day, multiple times a day to avert disaster (despite the fact that disaster in the markets only shows up every few years. )” “You don’t know what you don’t know.” “You should spend your time in your practice and let me do all the heavy investing work.” These all try to capitalize on the investor’s fear (and greed) that there is a magic investing method out there that somehow produces continual outperformance and most importantly, that HE isn’t using it. The chief value of an advisor is in keeping the investor from shooting himself in the foot due to his own fear and greed. Yes, a completely unsophisticated investor may benefit from handholding to develop a reasonable portfolio and taking an appropriate amount of risk, but that’s awfully easy to learn how to do on your own. The value is not in trying to beat the market. That effort is much more likely to backfire. Some people feel their advisor is giving them market-beating returns. In my experience, most of these people don’t know how to calculate their returns, or how to compare them to an appropriate benchmark. Once they do, they are generally much more disappointed in the returns produced by their advisor, especially after expenses. Even those few whose returns turn out for a few years to be beating an appropriate benchmark leave you with the question- lucky or good? Unfortunately, it takes decades to really answer that question, and by then, you’re too late. But mostly, if you’re carefully monitoring, you realize after a few years that your advisor is now underperforming and switch to a new advisor, only to see the pattern repeat. It’s okay to use an advisor, and to be willing to pay for the service you value. But you should realize the price you’re likely paying for the service, and the value of the service you’re likely getting. The service likely isn’t “only choosing the good stocks” and beating the market. And the price is usually far higher than realized. Consider an investor whose advisor costs 2% a year. He invests $50K a year for 30 years. The advisor manages to match the market before expenses (no easy feat over 30 years), so after expenses, he gets 2% less than the market (let’s say the difference between 6% returns and 8% returns.) How much money did the “service” your advisor provided cost you? $1.7 Million, or $57K a year. More than you were investing in the first place. That’s a pretty high cost. So if you this is what you’re paying, you’d better be darn sure your Bay Street Advisor is really outperforming an APPROPRIATE benchmark by at least 2% a year year in and year out. Perhaps he is, but I doubt it. “Any service has a value.” Of course, but that value can be zero, or in the case of financial advisors, more likely negative. I would love to see some data on the out of sample performance of financial advisors, performance predictability, risk adjusted returns after fess, expenses, and taxes. I have asked many people, including advisors, and no one has been able to come up with any evidence on their performance. Hard to pay someone thousands of dollars a year on faith that there work is worth more than negative thousands of dollars. This is extremely bad advice. Statistics show that on average advisors bring an extra 6% over what the do it yourself investor would bring. As the previous individual said. You are fooling yourself thinking that you can do this on your own with ease. A person can go to WebMD and diagnose themselves with 7 different illnesses, Or they can go to a Doctor who does it for a living day in and day out and have their issues solved for a fee. The long term benefit is there. People who dont have advisors tend to get “sold” and react mostly out of emotions. They buy Facebook for no other reason that they are a user. They invest in Iraqi dinar because the concept makes sense. Its hard for the average person to know about an execute 1031 exchanges, oil & gas drilling programs that have a 90-100 tax write off, DSTs, and good quality muni bonds. There is more to this business than just picking a good stock and hoping hat it goes up. It may be hard for the “average person” to execute these concepts on their own and working in public health medicine I encounter a great number of people that would benefit from a financial advisor guiding and educating their investment process. This blog is not intended for the average person (in my opinion). It is written to the decidedly above average as represented by our collective ability to sacrifice, learn, work, and execute at a very high and demanding level. If we can learn medicine with its details, intricacies, and nuance then we can learn how to invest wisely in the financial sector without having our hands held by a financial advisor. I am gland financial planners exist, they have a place in this world. Many of my patients definitely need them. I do not. I am glad to learn that you know of the data I requested. Can you provide the citations? I’m really surprised I’ve never run across those “statistics.” I would expect that if there were a high quality study showing it were true that the study would be heavily advertised by advisers…..
Are there some investors who will do better with a good advisor? Absolutely. In fact, most probably would. But getting paired up with an average advisor is likely to be very bad for the average investor. They studied a retirement plan in which participants could manage their investments themselves, or engaged financial advisors. The people who used advisors had higher risk and lower returns. Basically, those using advisers had a return of 1.81% (Beta of 0.832) and do-it-yourselfers had a return of 3.35% (Beta 0.618 so “lower risk”) for 1999-2009. It is interesting to note that both groups would have been better off just picking a target date fund (5% a year with an intermediate beta) though! Three cheers for simple investing solutions. ABSTRACT Within the Oregon University System’s defined contribution retirement plan, one investment provider offers access to face-to-face financial advice through its network of brokers. We find that younger, less highly educated, and less highly paid employees are more likely to choose this provider. To benchmark the portfolios of broker clients, we use the actual portfolios of self-directed investors and counterfactual portfolios constructed using target-date funds, a popular default investment. Broker clients allocate contributions across a larger number of investments than self-directed investors, and they are less likely to remain fully invested in the default option. However, broker clients’ portfolios are significantly riskier than self-directed investors’ portfolios, and they underperform both benchmarks. Exploiting across-fund variation in broker compensation, we find that broker clients’ allocations are higher when broker fees are higher. Survey responses from current plan participants support our identifying assumption that the portfolio choices of broker clients reflect the recommendations of their brokers. Bottom line- a bad advisor can be worse than no advisor at all. Hello, I am a financial planner and a husband of a physician. I feel this post is out of line with what we (financial advisors/planners) really do. Yes, some of us charge between 0.5-2% for assets under management. But we also add a lot of value elsewhere. Here are a few examples….. I coordinate taxes with my client’s CPAs, I coordinate wills and estate planning issues with my client’s attorneys. I structure shelters to help protect my client’s funds from creditors and lawsuits. I help make sure that my client’s funds are protected from volatility in the market with collars, spreads and other derivative instruments. So, if I am so good why I am I not managing billions at a hedge fund???? Well I went down that path and to be frank I did not want to sell my soul to my career and help no one except for clients with well over a million in assets to invest. Uneducated….. well I have a degree in Engineering and a degree in Financial Management and passed Series 7, 63, 66 and CFP exams. Let me tell you the CFP is just alphabet soup, some of the most seasoned and brilliant advisors I know have no alphabet soup behind their name. Furthermore, passive investing…. Yes, I believe in passive investing and I believe one can sometimes get comparable or better results than in an actively managed mutual funds or SMAs. Passive investing is typically done through Index Funds, ETFs, or DRIP plans. However you do fail to acknowledge that there are hidden cost to passively investing also. For example… There is a “turnover cost” in indexing, wherein an index’s pre-announced addition of a new stock allows for opportunistic traders (not advisors) to buy the stock before the indexes do. The cost to S&P 500 index funds was at least 21 basis points annually from 1990-2005 and somewhere between 38-77 basis points annually for Russel 2000 indexes during the same time period. The problem of losing to investors who anticipate changes in the index only appears if one uses narrow indices. If you invest in total stock market funds then these changes in composition take place only with the small stocks that appear and disappear quite commonly. But they are a tiny portion of the total market, so there is not much money to be lost. Index funds are also not obligated to trade instantly. They can use futures and options to attain full exposure to the index without having to completely replicate. They can also use these approaches to accumulate issues newly added to the index, just as would those who seek to exploit the known change in composition. When I hire a lawyer for help with estate planning I do not pay a percent of assets for this service. I pay for the specific work done, and then nothing unless/until I come back for more help. The services other than picking investments certainly have some value. One has to wonder whether it makes sense to pay a percent of assets, rather than a simple hourly fee. Thanks for reading. As you are well aware there is a very large amount of variation among those who call themselves advisors/planners. A small percentage are well-educated and put their client’s interests first. If you are among that small percentage, then much of this post doesn’t apply to you. I do have a few comments regarding issues you bring up. 1) 2% is highway robbery. 2) What does it mean to “coordinate taxes?” Really. You send the paperwork to the CPA? You call the CPA when contemplating buying and selling investments? 3) Same questions with regard to wills and estate planning. I’m not sure I understand why one would need an additional advisor to “coordinate” anything. I think that’s marketing. Perhaps if the 1-2% I’m paying the advisor also covered all the costs of the accountant and the attorney then it might be worth it to me. 5) SOMETIMES you can get “comparable or better” results using passive investing? Surely you mean most of the time (nearly all the time over long periods) or you’re not that familiar with the academic literature on the subject. 6) S&P 500 index funds and Russell 2000 index funds do lend themselves to “front-running.” I generally avoid these whenever possible. As mentioned above using total market funds pretty much avoids the problem. Most of the hidden costs of mutual fund investing are far lower for a passively managed fund vs an actively managed one. I agree that most people in the financial services industry are merely salesman working on commission or selling products they gain from financially. 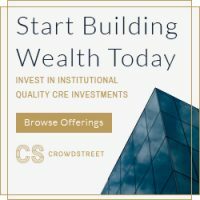 But if you are able to find a good, relatively low-fee investment advisor working for a fee-only RIA firm that only uses passive portfolio management and spends time on education, counseling, and promoting discipline even during the most strenuous periods, they can be worth their weight in gold. Case in point: we know that over $1T has left equity mutual funds in the last 5 years (much of it after the stock market rebound), and almost $400B has gone into bond mutual funds (despite record low interest rates). A good advisor would be fighting to keep their clients from making similar mistakes, just as they kept them from indulging in the 1990s tech bubble, panicking in 2002, overweighting real estate and emerging markets in the mid-2000s, and gold and other currencies today. Further, advisors can often achieve more complete diversification across equity markets because some asset classes aren’t available in retail index fund form and traditional indexes fall short in other areas such as smaller stocks and value companies. Most individual investors, to the extent they do possess the discipline to stay with their plan over time and the knowledge to index their portfolio and not give into the performance chasing bug will still hold mostly US total stock, Int’l total stock, and total bond indexes. From 4/2001 (date the article was published) through 7/2012, if we compare a 42% Russell 3000 Index, 18% MSCI All Country World ex.US Index, 40% Barclays Total Bond Index (no fees) with the portfolio listed in the article above (net of DFA fund expenses), we see an annualized +7.3% for the asset class portfolio and 5.8% for the total market mix. Both portfolios had 3 negative years since 2001 (01, 02, and 08 for the total market mix and 02, 08, and 11 for the asset class portfolio) with the total market mix declining -11.5% on average vs. -9.3% for the asset class mix. And, mind you, 40% of both these portfolios were in bonds, yet the total bond index has an average maturity of almost 7 years, which benefited extensively from the anomalous period of falling rates, vs. just a 2 year average maturity for the DFA short and ultra short bond strategies. If rates had risen, and not fallen, the asset class advantage could easily have been double the 1.5% over this period. 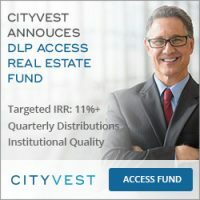 Most investors would find, if they could find an advisor who meets the criteria above, has expertise in assembling balanced asset class portfolios, managing taxes through tax-managed funds, asset location, and periodic tax loss harvesting, and charges something in the 0.5% to 0.75%, they’d be incredibly fortunate. Also, on the topic of “if advisors were any good they’d run a hedge fund or be managing multi-billion dollar pensions/endowments”. Unfortunately, the world doesn’t work that way. HFs mostly charge 2% and 20%, which is far above the 0.75% I mentioned above that is reasonable. And these large pools of wealth do not believe in index fund investing, and if they do, are unwilling to tilt to small cap and value stocks globally despite their diversification benefits because of the “tracking error” that comes from deviating from the market. So this isn’t really an option as many of these plans are still stuck in the dark ages. Don’t believe me, lets just look at the last 10 years of returns for college/university endowments through 6/2011 (see here: http://www.nacubo.org/Documents/research/2011_NCSE_Press_Release_Final_Embargo_1_31_12.pdf) +5.6% vs. a +5.9% return for a 20% TBM, 24% Total Int’l, and 56% Total US Stock Index and +8.6% return for an 80/20 version of the asset class portfolio I mentioned above. Good posts Eric. I agree that paying something in the neighborhood of 0.5-0.75% is a reasonable price for GOOD financial advice and investment management. I also agree that there’s a high likelihood that using a riskier (and in some ways more diversified) small and value tilted portfolio instead of a total market portfolio could more than make up for the advisory fees. I also agree that one of the chief benefits of using a GOOD advisor is enforcing discipline. You only have to buy high and sell low once to eliminate the benefits of saving years of management fees by doing it yourself. I think you missed my point about running a hedge fund. I’m not suggesting that hedge fund managers or endowment managers are particularly smart or possess the ability to outperform the market. I agree the data doesn’t seem to agree with that. My point was that your financial advisor can’t predict the future. That gift is so rare, that if he could, he’d be running a lot more money and collecting the AUM fees on that larger sum rather than sitting across the desk from you and talking about your budget and your $250K portfolio. 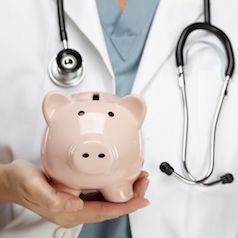 I think you’ve done an incredible job at organizing a great deal of relevant financial information (budgeting, savings, insurance planning, etc) for doctors. Even as a former advisor to residents, I agree with a great deal of your opinions regarding the profession. The old phrase was “if you could fog a mirror” you’re allowed to be an advisor. This surely doesn’t add credibility to the industry. With all that said, I do somewhat disagree with some of your stances regarding the “value” of an advisor. When it comes to investing, you are 100% correct by saying that it is relatively easy for anyone, not just doctors, to set up a strong portfolio after a brief understanding some simple investment strategies. Also, how very few advisors can pick investments that will “outperform.” I’ll take that point a bit further by saying ZERO advisors can consistently do this. As it relates to managing your money, an advisor’s biggest responsibility is to manage the emotions of an investor when times are really good and really bad (selling at the bottom and buying too much at the top). There is a great company out there called Dalbar. They focus on measuring the behavioral effects on investment returns. According to their data, between 1991-2010 the average investor had an average annualized return of 2.6%. The S&P 500 did 7.7% per year on average and a “standard diversified portfolio” earned 7.99 (data was sourced from J.P. Morgan’s 2011 3Q publishing). Clearly there is something going on here. The black and white S&P 500 had an additional 5.1% annualized return difference. There in lies the value of having an advisor. It is no different than having a personal trainer. You’re just as capable to manage your finances as you are to force yourself into the gym to stay fit, but as I’m sure you know, very few people stick to a healthy workout program. From an investment standpoint, an advisor’s job is to make sure you don’t cut your foot off. If you’re perfectly capable of doing this on your own, then I agree why pay 1% (you keep referencing 2% when standard advisor fee is most likely between 1-1.25% depending on account size and decreases as your balance grows) for something that could have been handled in a couple minutes?? The problem is that most people cannot manage their emotions when it comes to investing as the data suggests. Keep up the good work with your informational posts. Your target audience needs you! I agree with you that this may be the primary benefit of an advisor. While I agree that 1% is a commonly charged fee (and at the upper limits of what I would consider an acceptable fee), I see far too many advisors charging 1-2%, then tacking on another 1-2% in expense ratios on actively managed funds. Why Doctor’s aren’t astute businessmen should be your next blog post. I agree that there is a lot of good content on this blog. Taken and passed an education requirement (Taxes, estate planning, insurance, retirement plans and planning, investments and general financial planning topics). Finally, a fiduciary level of service in financial planning for a client with conflicts of interest disclosed. The barriers to entry are very low but that doesn’t mean that all financial planners / advisors are the same. I think a better way to put what you are saying in this post is that investment advisors are not worth paying for. I agree for the most part. I see my job as helping people with the right strategies in the right accounts and making sure they are in proper investments that will help them reach their goals. If someone hints that they are expecting me to beat the market I will let them know immediately that my goal is not to beat the market but to make sure they are invested properly and they will get good, professional recommendations from me for their entire financial life. I am not the only one in my profession that takes our roles seriously, so I why do feel that I have put in a lot of effort to get where I am I surely will take you to task for comparing my knowledge of finances and dedication to my clients to a lawn mower. You are different, you have truly studied areas of my profession but most docs I know have no clue and they need help. They just want to be docs and live their lives, if you have written all the material on this blog yourself then you might as well take the CFP exam. You are practically an advisor, other docs have NO interest in this stuff. In fact a lot of the items you bring up have an industry jargon, its called Barf to a client. Great info, but clients and Docs certainly don’t care about the ins and outs of Backdoor Roths, how to create and then manage your investments, or which details on which tax planning items they can take advantage of. They hire professionals like myself to know that information and make recommendations on what they should do. You asked a question earlier about how a financial planner “coordinates” with CPAs or estate planners. 1) there is a need to make sure the CPA knows if you are doing your “backdoor” Roth strategy. If basis isn’t recorded then you won’t get credit for it. 4) Most estate planning attorneys get their clients from us, because we bring up important issues that the clients never knew affected them. Kind of like a doctor, people see you with an ailment and then you send them to a specialist or write a script. You don’t actually fix the problem but you know the best route for relief. My job is to bring clarity to my clients lives by bringing everything together in a competent, professional matter. Don’t compare people like myself to landscapers. I agree that most docs just want a professional “to take care of this stuff” for them. I have no problem with someone paying a fair price for good advice. I worked as a hedge fund analyst for 6 years until recently relocating to a smaller US city with my wife(physician) to get more for our money and start a family. When her colleagues found out I had worked for a hedge fund several discretely asked me to “take a look” at their portfolios. There were a lot of problems. Muni funds in self directed IRA’s, options positions that they couldn’t explain(and didn’t understand or need) and aggressively overweight positions in random assets like gold and silver. A lot of these ideas come from good places, they just execute poorly. My wife is amazing(harvard trained) and her colleagues are very intelligent but they can get very defensive when challenged on almost any topic. I found it difficult trying to help them without spending hours on basic stuff so I just said “hey everything looks ok”. So I know there are a lot of physicians out there who need PROFESSIONAL advice. Maybe not everybody but some do. How about a fee only adviser once a year, just to do a quick check up. If you are investing in a hedge fund, PE fund, or any private placement you need an adviser. There are just not enough investor protections to risk a bad move in these areas. For the traditional portfolio its easy to say 60/40 or 30/30/30/10 but your readers need to keep it simple. Indexing won’t beat the market(by definition) but it will provide great long term performance if done right. I would caution your readers and any individual investor not to “trade” excessively this is a serious performance killer. Every dinner party we go to I always end up talking to the guy that “trades” and after he’s done telling me about backtesting, and chart patterns he gives me the hot new “tip” which unfortunately his colleagues occasionally act on. I’m not against do it yourself investors but I think people need to take this stuff more seriously. White coat investor mentions 10 hours a year. No way it needs to be 2 hours per week. So you’re talking ballpark 100 hours per year minimum(baked into this number is investor education). Review your positions weekly, early Sunday morning is great for this. Don’t listen to CNBC its just noise. I agree that a good, low cost fee-only advisor is probably worth the price for the vast majority of investors. Unfortunately, most advisors don’t fit that definition. So the investor not only ends up paying too much, but ends up getting bad advice in the end. However, I disagree that portfolio maintenance requires 2 hours a week. Why in the world would I need to “review my positions weekly”? They haven’t changed in years. What’s to review about the Vanguard Total Stock Market Index Fund? Sure, it goes up and it goes down, but since I don’t do anything about it, there’s no reason to look at it once a week. I actually look about once a month, but only because I have to include that information in a newsletter I publish. If I weren’t doing that, I would only look when making new contributions, which works out to once every month or two. Investing can be ridiculously simple, once the up-front educational portion has been completed. I help my parents manage a simple portfolio consisting of a fixed asset allocation of seven low-cost index funds. I literally spend an hour a year on it, and am dramatically outperforming their previous advisor. I cost them about $15K less a year too (which helps with the performance). Great the parents are looking good. They are diversified among several low cost, non-correlated index funds. The three drivers of return in a portfolio are asset allocation, security selection and market timing. Asset allocation is generally accepted to be responsible for 90% of returns. So that leaves 10% between security selection and market timing. If you are indexing you are taking security selection out of the picture and with dollar cost averaging you don’t have to worry about market timing. So it all comes down to asset allocation. If you allocate 100% of your portfolio to equity risk you are accepting greater risk for a given unit of return. By adding assets to your portfolio that are anything less than 100% positively correlated you would be reducing variance and increasing your expected return for a given level of risk. This is pretty basic portfolio theory. The real benefit of the asset allocation decision is that diversification improves your total return. It isn’t clear to me what you are saying is 5.83% annualized. The annualized return of the Vanguard S&P 500 Index fund since inception is 11.04% since inception in 1976. The annualized return of the Total Stock Market Index Fund is 9.49% since 1992. Perhaps you’re talking about a bond fund. The annualized return of the Total Bond Market fund since inception is 6.38%. That certainly didn’t lose 50% in 2008. In fact, it’s 2008 return was 5.05%. It’s worst year since inception was a 2.26% loss, in 2013. If you’re going to talk about past return numbers, please pick something that makes some sense. Don’t cherry pick some period beginning just before the biggest bear market in the last 30 years. It just makes you look foolish. If you want to start in 2008-2009, why not start at the bottom instead of the top? Returns look pretty darn solid from there. As far as my parent’s portfolio,, it is invested in a very low cost (9 basis points), 50% equity portfolio, spread among several asset classes of stocks and bonds. It’s annualized return since 2006 (after-tax and after-expense) is 7.4%, with the worst year in 2008 a loss of 19%. That seems a pretty darn reasonable risk to return ratio to me. I agree with everything else you say, except that this process takes 2 hours a week. In 2013 I rebalanced the portfolio in March (perhaps 20 minutes, including the time spent record keeping), made a contribution in March (perhaps 3 minutes) and made a withdrawal in July (3 more minutes.) So all in, less than 30 minutes for the year. What the heck else could I possibly need to do for the other 103 1/2 hours? It doesn’t take that long to asset allocate, and security selection and market timing are a loser’s game. It takes me more time to do mine, but only because I make a lot more contributions during the year. But still, 30 minutes a month at most, and 90% is for a single asset class that happens to be particularly time consuming to manage (P2PL). If minimizing the time spent on the portfolio were my biggest issue, I could just go with Life Strategy Moderate like Mike Piper. 8% returns since 1994, 60/40, and zero rebalancing. Put your contributions on auto-pilot and you could go years without looking at your portfolio. You’re not going to make very many behavioral errors when you only look at your portfolio once a year. One of the biggest advantages of a Boglehead type portfolio is that it is basically set and forget and you can spend your time as you see fit. You missed my point. I clearly said that an inv grade bond fund would have outperformed the Vanguard Total Stock Market Index Fund 08 to present. By adding a bond fund you would decrease variance and increase expected return per unit of risk. All my numbers are from Vanguards website. You said you only invested in the Vanguard Total Stock Market Index Fund so I referenced the returns to make a point about diversification. 5.83% is the since inception return according to Vanguard for the total stock market etf. Using the time period of the 2008 crash was to show the huge risk of a 100% equity portfolio. The late 1980’s had a crash, 2000 had a crash and 2008 had a crash. A lot more frequently in equity markets so I think if I didn’t make my point before I have made it now. Your parents portfolio is fine. I am only using information I got from your posts so I assume it is accurate that you allocate 100% to the Vanguard Total Stock Market Index Fund in all of your personal investment accounts. If that is not correct then please correct me. If that is true and your portfolio is actually 100% equities then that is imprudent and not a good example for your readers. There’s been two tiny changes, one with the fixed income (added a 5% P2PL slice) and one with the developed markets (added small when the Vanguard fund came out) since that post was published, but that’s pretty much what I’ve held for the last decade. It’s done fine with an annualized return of 9.46% per year over the last decade. Nice, that’s solid. Also I admit I should have checked out your site before getting critical about one article. I do still feel that some form of advisor is valuable and that managing investments takes a time commitment greater than 10 hours per year. Personally, we need at least 2 hours per week just to keep track of everything between rental properties, retirement accounts and personal accounts. We rely on a great CPA to ensure suitability tax wise but still occasionally have his recommendations verified by a third party. I then spend a decent amount of time tracking our investments, re balancing and finding the best place for short term cash. I still have to maintain an options account to hedge employer stock positions I have as part of compensation. Just buying put protection takes more than 10 hours per year. I assume that most people who read your site have similar and probably more complex financial situations. For example negotiating a lease on a piece of commercial property we own was a huge hassle even with professional help, but its still part of our “investment portfolio” and requires attention. I say 2 hours per week is necessary and advisors are cheap insurance against a poorly run portfolio. I don’t know that most readers have a more complex situation than yours. Real estate in a lot of ways is a bit like a second job. Having to buy options repeatedly can also be time consuming. My point is investing can be ridiculously simple. Obviously it isn’t always that simple. LOL! Who ever started this thread googled some “returns” and some financial lingo and decided to present a “well thought out” argument. Clearly he/she does not have a good financial planner. What you don’t know, you don’t know. There’s way too much material given to dismiss and crtique so I’m not even going to go down that rabbit hole. I’ll just say this: CPAs are great at preparing tax returns. Tax Attorneys are great at restructuring legal documents to catalyze tax benefits. Financial Planners/CFPs do great at giving advice on how to do future planning on taxes and investing. Each of these professions require a broad area of study and expertise. Don’t be fooled people, Google and “your stock buddy” is NOT a financial plan. Welcome to the site. While I agree that Google and “your stock buddy” is not a financial plan, I disagree that you have to have completed a broad area of study and expertise to call yourself a financial advisor. You don’t even need a CFP, which requires less than the amount of training a physician gets in a single month of his training. The last comment is actually not based in fact. The CFP requires a sequence of multiple exams and qualifications, each demanding months of study, and a demonstrated capability to put theory into practice. If someone has an interest in finance, all the power to them, make it your hobby and learn everything you can about financial planning and the market just as the person who manages this site seems to do. However, most physicians either a) don’t have the time, or b) don’t have the interest, or both. They outsource to other people who can deliver a service they deem valuable because it saves them from one more thing on their plate. It is up to them to chose well through a process of due diligence (as with choosing any service or professional). I’m not sure if this 4 1/2 year old post is the only one on this site you’ve ever read or what as you don’t seem to understand who is writing the posts or making the comments. However, I would appreciate you at least understanding that prior to suggesting I am making comments not based in fact or that I have neither integrity or competence. I think the CFP is a great qualification and one of the hardest to get for financial professionals. It is one of the few I have any respect for at all. However, let’s not kid ourselves about how hard it is to complete, especially when compared to a CPA, JD, MD etc. Typically people report studying about 200 hours for it although I’ve seen as few as 100. Here’s a guy that said he took a week course and about 15 hours on top of that. By comparison, a physician in residency works about 80 hours. So 200 hours represents less than a month of similar training. There is a single test. Not multiple exams and multiple qualifications each demanding months of study. Perhaps you are thinking of CFA, I don’t know. CFP does requires 3 years of experience but that experience can be highly variable. At any rate, the point of this post is that financial advisors aren’t doctors. A CFP isn’t the equivalent of an MD. The level of training is an order or two of magnitude less. Using past performance numbers as a method for choosing mutual funds is such a lousy idea that mutual fund companies are required by law to tell you it is a lousy idea.